Objectives Ladder falls comprise 16% of all US workplace fall-related fatalities, and ladder use may be particularly hazardous among older workers. This follow-back study of injured workers from a nationally representative sample of US emergency departments (ED) focused on factors related to ladder falls in three domains of the work environment: work equipment, work practices, and worker-related factors. Risk factors for fractures, the most frequent and severe outcome, were also evaluated.  Methods Workers injured from a ladder fall, treated in one of the 65 participating ED in the occupational National Electronic Injury Surveillance System (NEISS) were asked to participate. The questionnaire included worker demographics, injury, ladder and work equipment and environment characteristics, work tasks, and activities. Multivariate logistic regression models estimated odds ratios and 95% confidence intervals of a work-related fracture. Results Three-hundred and six workers experiencing an injury from an – on average – 7.5-foot-fall from a step, extension, or straight ladder were interviewed primarily from construction, installation, maintenance, and repair professions. Injuries were most frequently to the arm, elbow or shoulder; head, neck, or face with diagnoses were primarily fracture, strain, sprain, contusion or abrasion. Workers were most frequently standing or sitting on the ladder while installing, hanging an item, or performing a repair when they fell. Ladder movement was the mechanism in 40% of falls. Environmental conditions played a role in <10% of cases. There was a significant association between fracture risk and fall height while working on the ladder that was also influenced by older work age. Conclusions This study advances knowledge of falls from ladders to support those who specify means and methods, select equipment, and plan, supervise, or manage the performance of employees working at heights.